To enjoy the beauty of the lake here, enough to rent a speed boat around the lake you can. 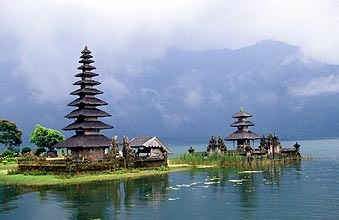 Close to this lake you can also enjoy lunch at local restaurant with Indonesian dishes as well as internationally. and visit the Botanical Garden Eka Karya Bedugul as buy souvenirs of strawberry, which is one source of income of local residents. Indonesia Headlines. Design by Wpthemedesigner. Converted To Blogger Template By Anshul Tested by Blogger Templates. News. Free Ebooks. Tourism. Celebrities. Movie. Unique. Science. Techno. World Record. Entertainment. Health. seo. Bali.